Ken passed away on the 29th of August 2009. Beside his links to ACs and being an accomplished racing driver in his own right, Ken was a Volvo agent and tuner of extremely high repute back in the 1960's. Ruddspeed Volvos were supplied to West Sussex Police, and Ruddspeed ACs and Austin Healeys were driven by celebrities as diverse as Ian Fleming and Bruce Reynolds. Among Ken's many achievements was finishing tenth at Le Mans in 1957, in a car he had developed himself (RPO 826), ahead of many of the factory-entered competitors; he also designed and fitted well-engineered right-hand-drive conversions (thereby making exotica from Alfas to Cadillacs available to British motorists), and even worked on the development of a hover-scooter powered by a 250cc motorcycle engine. 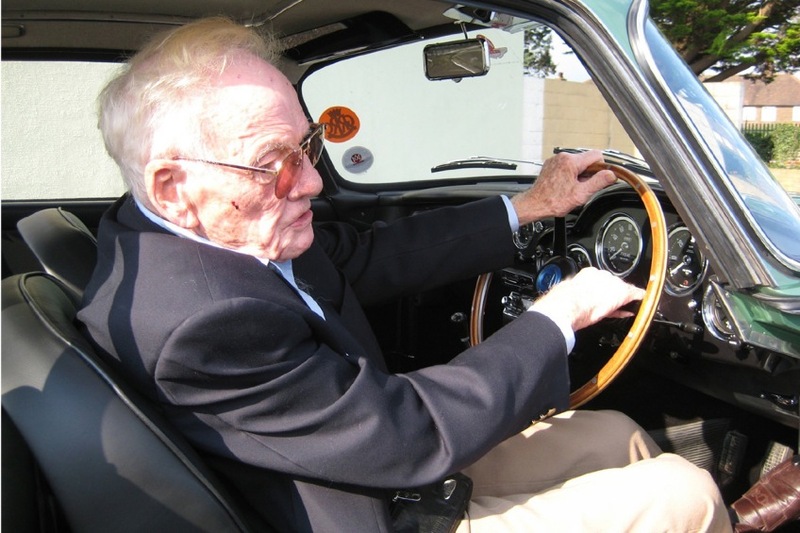 Ken was also the first to start putting larger engines into the AC sportscars, and achieved many successes on the track with them in the 1950's. Even today, a Ruddspeed AC Bristol or Ford is a finely balanced and immensely capable road or track vehicle. He was a man of his era, an inventor, accomplished engineer and racing driver, who nevertheless moved with the times. The 1970's saw him researching the subject of environmental conservation and recycling. Ken was a charming, energetic and accomplished polymath. He was, genuinely, a great man, and certainly a great Briton. I fear we shall not see his like again. We would like to thank James Waugh and Tony Bancroft in connection with allowing us to use some of these wonderful images.